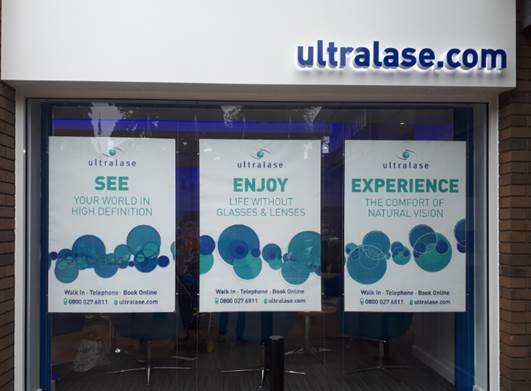 After Optimax became the Ultralase Optimax Group, one of their main objectives was to improve the image of the clinics. 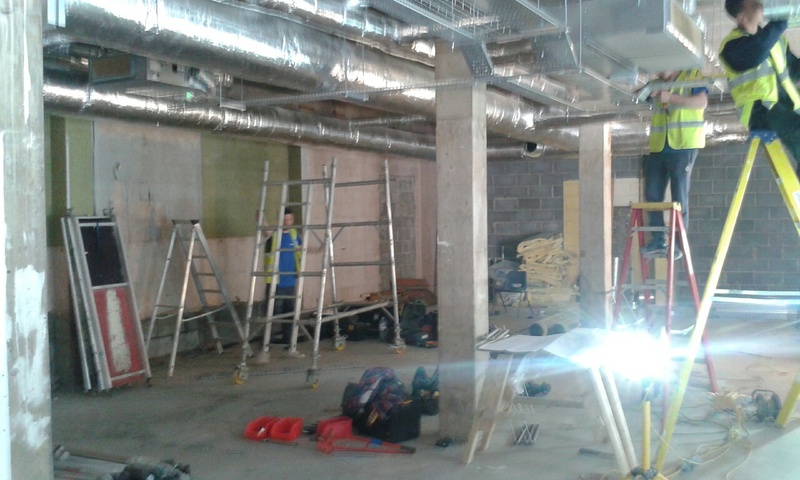 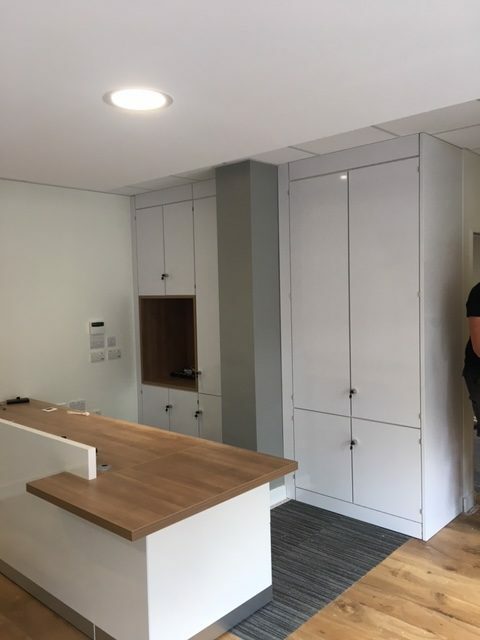 Here’s how we helped the group to create a brand new clinic in Cardiff. 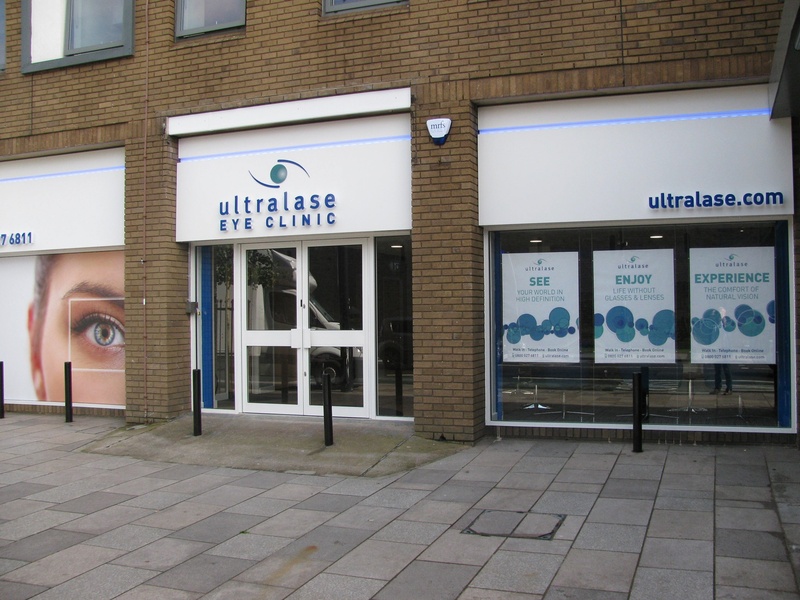 Having bought an empty building, the Ultralase Optimax group asked us to create a new clinic from design to build. 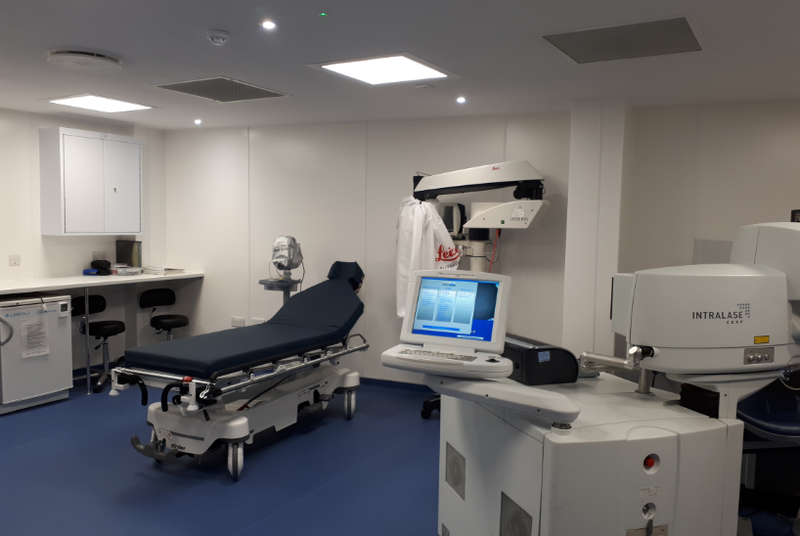 The design was to include an operating theatre, recovery room, consultation rooms, staff rooms, an air handling plant and reception area. 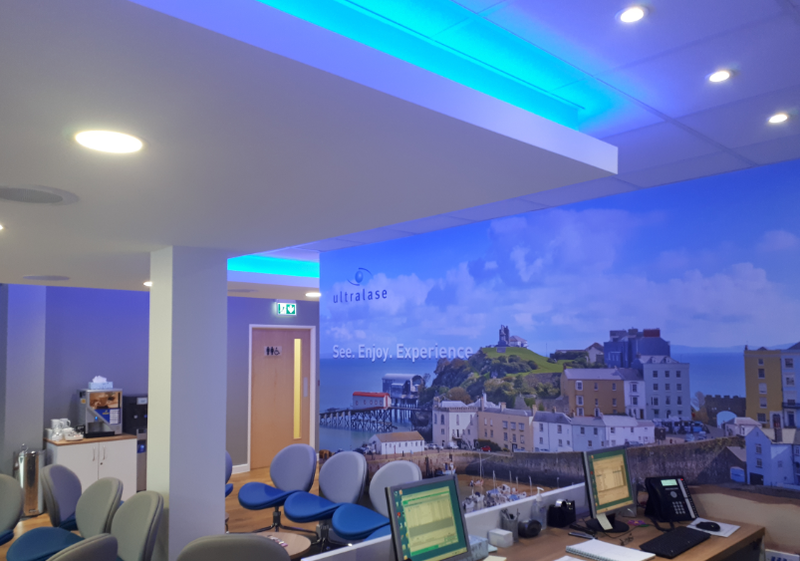 In the reception area we added LED lighting, a large wall graphic and a gloss white reception desk and storage wall to give the clinic a fresh and modern feel. 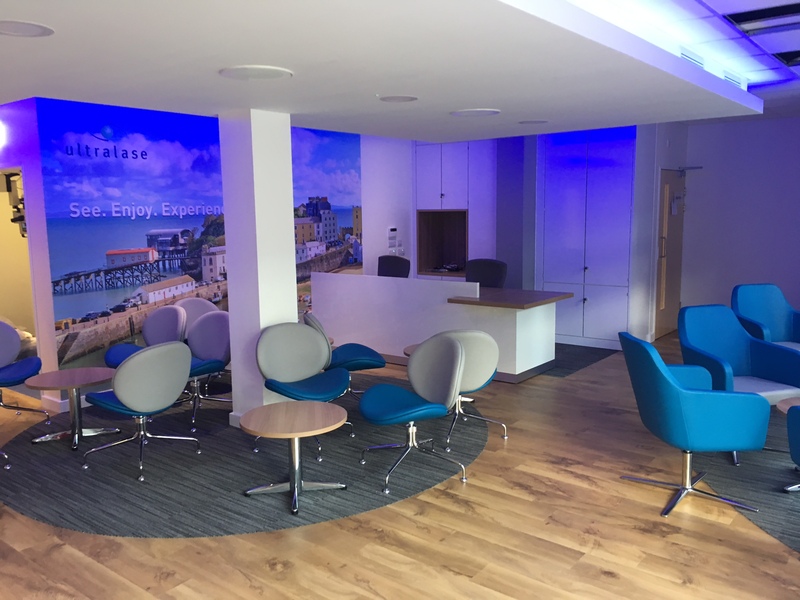 We added Giggle chairs to the lobby to provide comfort for visitors and extend on the modern theme. 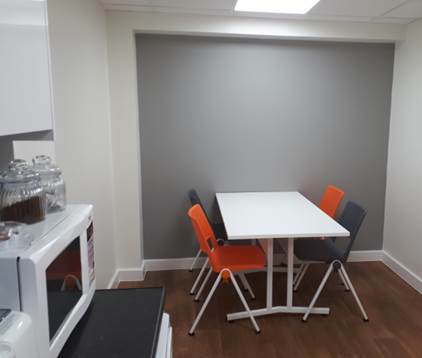 We handled all aspects of design and build and completed the project four weeks early and under budget. 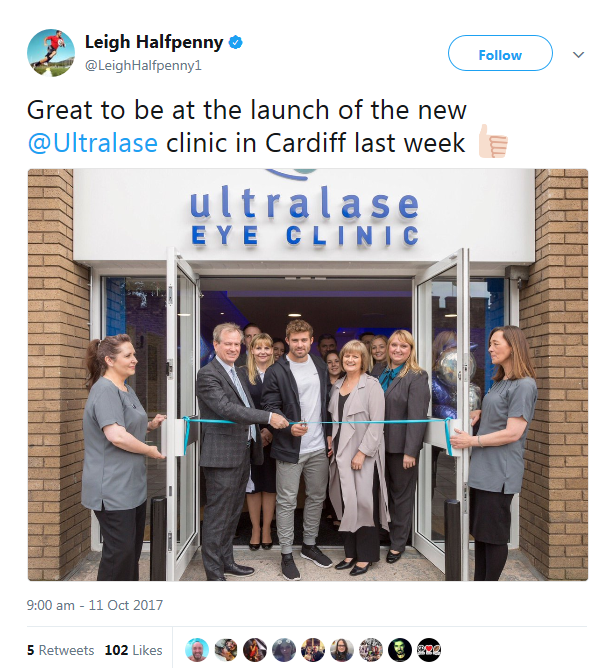 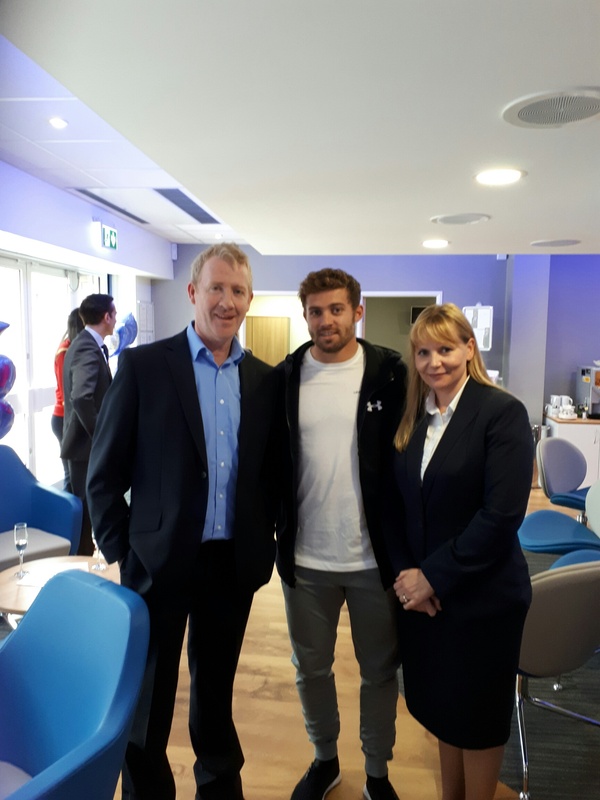 The new clinic was opened by Lee Halfpenny in October 2017 with staff and patients commenting on the “stylish, modern feel”. 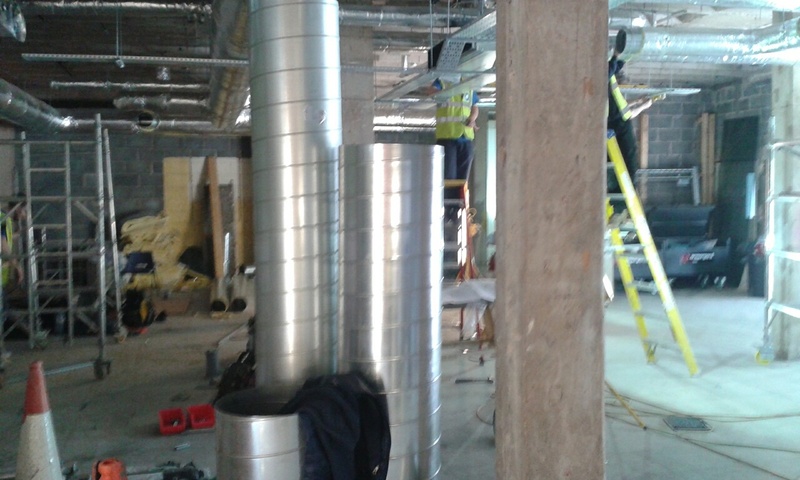 There are now plans in place to refurbish other clinics to match the same design criteria.